We had a wonderful 2017! Check out some of the highlights from the year. 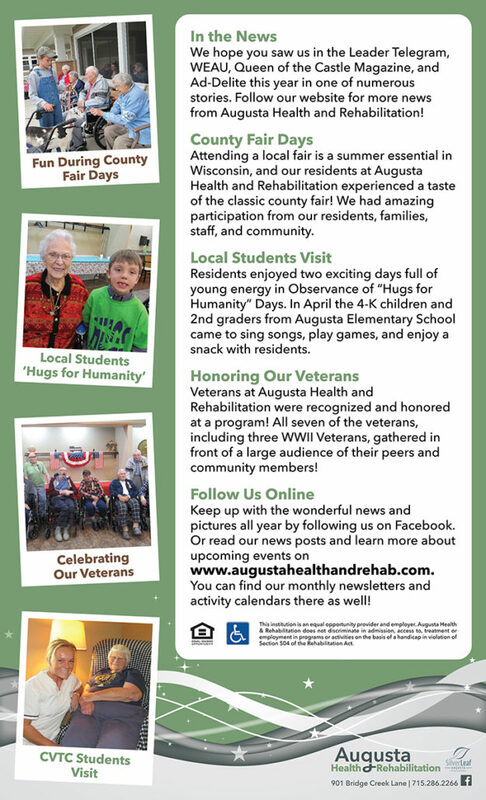 Augusta Health and Rehabilitation is a senior living community in Augusta, Wisconsin. They are well-known for skilled nursing care, assisted living, and rehabilitation services. 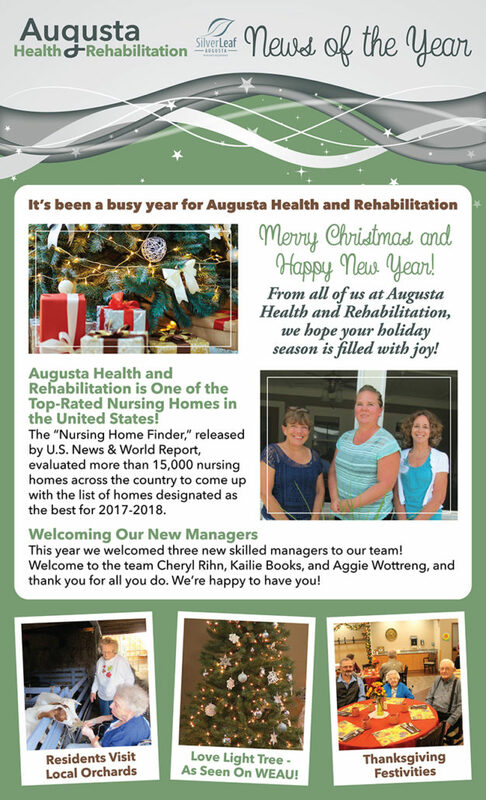 Keep up with what’s happening this month at Augusta Health and Rehabilitation in our monthly newsletter! Click here to read this month’s newsletter! This institution is an equal opportunity provider and employer. Augusta Health & Rehabilitation does not discriminate in admission, access to, treatment or employment in programs or activities on the basis of a handicap in violation of Section 504 of the Rehabilitation Act.